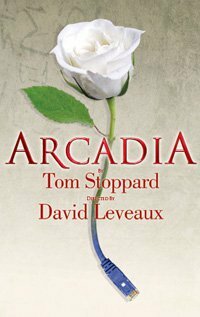 And hurray for this wonderful account of Arcadia! Thank you. Excellent Jon, hope I manage to see this! I also wanted to note that just last weekend I attempted to use this quote: "We shed as we pick up, like travelers who must carry everything in their arms, and what we let fall will be picked up by those behind. The procession is very long and life is very short. We die on the march. But there is nothing outside the march so nothing can be lost to it." I was attempting to explain what it is I love so much about "Arcadia," but I'm afraid I mangled the quote and the idea too badly to make the point. Oh well. I knew what I meant. Its a very nice and excellent play that i like very much and want to see it again.